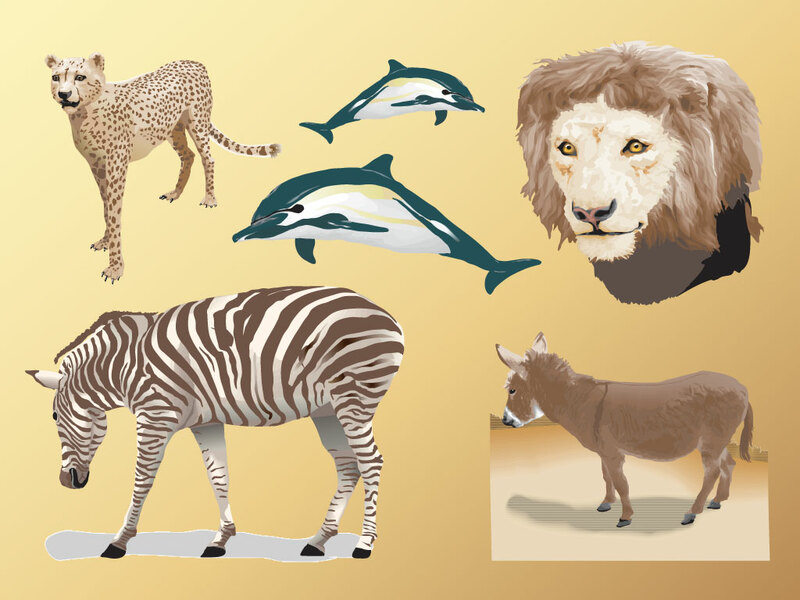 Download these realistic exotic animals for all your personal uses. A combination illustration and threshold image, they have a unique and beautiful look. Great additions to your personal wallpapers or pinups. Tags: Africa, Animals, Cheetah, Exotic, Lion, Nature, Savannah, Wildlife.